Accelerate Learning was established in 2013 to deliver high quality childcare and academic support for children aged 5 – 18. We strive to use the most effective methods to improve social and academic outcomes in a fun, safe and engaging environment for your children to interact with their peers. We start with an initial consultation and assessment to identify your child’s academic abilities. At Accelerate we use the most current and relevant assessment tools and give you the option of either a low touch or in-depth assessment. The assessment process provides a comprehensive and collaborative foundation from which we will suggest a tuition service that best suits your child’s academic abilities and the results you seek. Your centre manager will select a tutor to fit with your child’s learning style, personality and academic needs, or alternatively, your child will be matched to a small group (maximum 6) with children of a similar age and ability. Tuition sessions are either one or two hour lessons tailored to the results established from the assessment and the discussions with you. Our personalized tuition means your child’s learning plan and every activity chosen revolves around your child’s needs and agreed goals. Homework support is provided during each session and the students are encouraged to always ask questions which will help them learn more effectively. 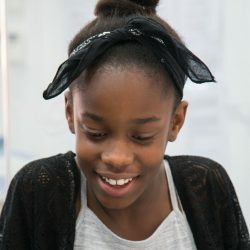 Each tuition sessions has a built-in assessment element allowing pupils and tutors to gauge understanding and intervene at every step, and feedback will be given to you whenever it is relevant. Formative and summative assessments will be carried out every 6-12 weeks, respectively, and the centre manager will provide you with an assessment report at the end of every term. 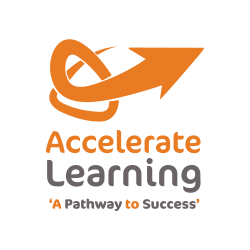 At Accelerate Learning we strive to provide tuition of the highest calibre, coupled with a positive and friendly service to ensure both students and parents are delighted. I found tuition with Accelerate to be very helpful. We always worked at a pace I felt comfortable with & my tutors stayed ahead of my school work so I always felt confident when the teacher introduced new topics. We often did exam style questions so I was confident in achieving full marks in an exam environment. Steve was a good tutor. He explained how to do things in a different way to the way school taught me, which helped me. It meant I could do calculations in maths faster. I am very happy that I passed the exam to go to Blue Coat. Accelerate really helped Treasure in his Maths and English, especially in Verbal Reasoning. Treasure used to go to Accelerate Learning to build up his confidence for his entrance exams and it really helped because in one of his exams he got into one of the best schools in Liverpool. They also give some useful advice if you need help about anything they will answer your question straight away. Christian really enjoyed his time with accelerate and has told us that he doesn't think he could have got into Bluecoat without your help. Christian felt a lot more confident in school and enjoyed going every Saturday. His tutor was attentive and quickly spotted areas that he could improve. Thank you for your help.